Steve Jobs was an incredible visionary, but he’s dead now so we have to get our inspiring quotes from the Norton Antivirus guy. 1. Look, we know that Steve Jobs is ideal when you want motivational quotes about business and leadership. But he died in 2011, and we can’t just keep reusing his words of wisdom forever. Symantec CEO Greg Clark is also a tech CEO, and most importantly he’s still alive to say sort of inspiring quotes like this one. 2. 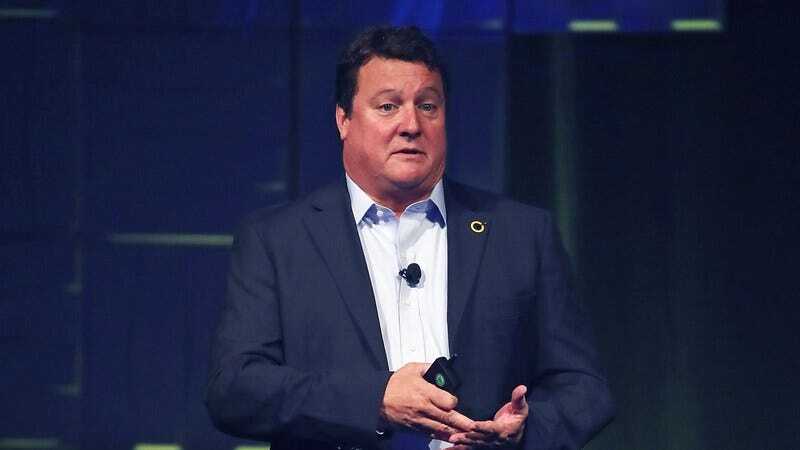 In case you aren’t aware what Symantec is, it’s a software company that acquired Norton Antivirus in 1991, and Greg Clark was hired as its CEO in 2016. That might not be as amazing a backstory as founding Apple computers in your garage, but it is what it is. 3. Just make the most of these Greg Clark quotes. They’re really not that bad if you don’t think about them too much. This one almost sounds like an uplifting line Steve Jobs might have uttered during an Apple keynote address. It might not really be saying much of anything, but it sounds pretty insightful if you don’t think about it too hard. 4. Sure, Greg Clark didn’t invent the iPhone, but that’s a high bar for pretty much anybody. Few people even get to become a CEO of anything, and being CEO of Norton Antivirus is still fairly inspiring, all things considered. So just sit back and enjoy this inspiring quote from a man who got to be the CEO of his very own antivirus company. 5. Are these great quotes? No, but they’re fine. They’re decent quotes. They’re not going to change your life, but they should at least motivate you to get through a gym workout or settle your nerves before a presentation at work. 6. It isn’t our fault Steve Jobs is dead. He had a curable illness, but he tried all that crazy new age mumbo jumbo instead of going to the doctor. If you want to blame someone for you not getting inspiring Steve Jobs quotes right now, point the finger at Steve Jobs. We’re doing the best we can with the CEOs that are left.